Capture amazing memories of your kids & best friend to keep forever! Do you take photographs of your kids & their best friend but never get the image you really want? Do your kids and their BFF dog always look away when there’s a camera or phone pointing at them? Do you have multiple kids and dogs that never sit still long enough or look the same way? 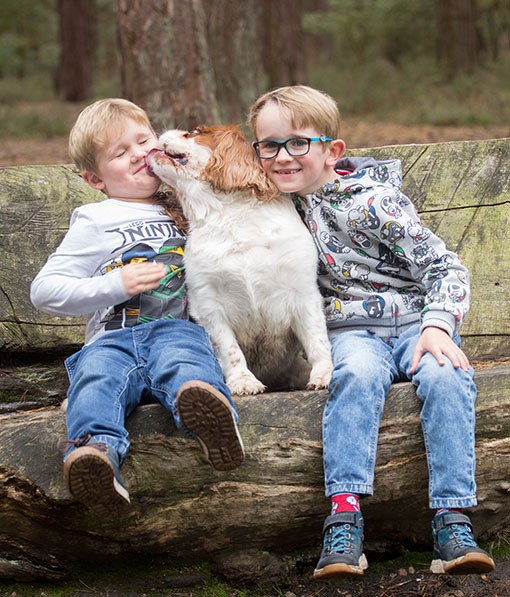 Do you want photographs taken in a natural setting showing your kid and their best friend at their best? 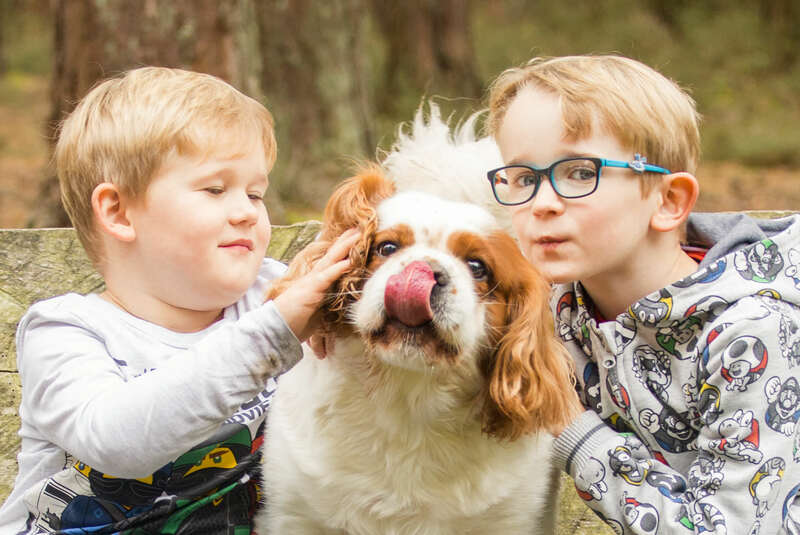 I will spend a little time before the photoshoot talking to you to find out what makes your kid and their dog “tick”, what kind of photographs you are looking for (not everybody wants an action shot, or a portrait), and where you’d like the photoshoot to be. You may be like most of my clients, who prefer an outdoor photograph, one that shows your favourite little beings enjoying themselves. You may even want to have your photo taken with them too! At the beginning of the two hour session, I’ll spend a little time letting everybody get used to me. I’ll also be introducing them to the idea of having a camera pointing at them. 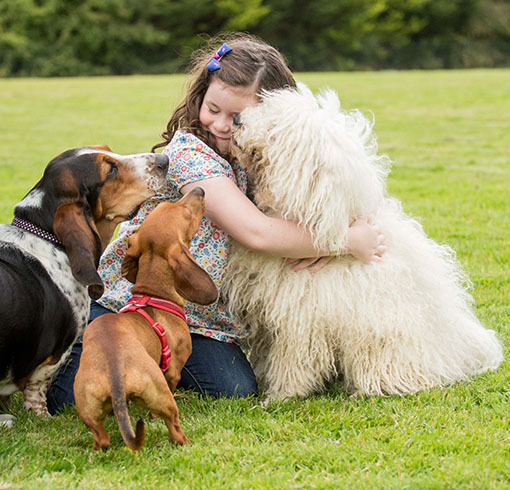 Some children and dogs just do not like a camera pointing at them – this is not a problem – as mentioned, I have a few tricks to make sure they are relaxed and therefore enjoy themselves as much as possible. The rest of the session will be spent getting the best images and really enjoying the time we have together! To find out more information, you can download the ebook here. Would you like more information or to book? Want to start planning your photoshoot, or need more information? Give me a quick ring or send me a email …..